Another gorgeous looking stamp - it is amazing that artists can give animals such fab human expressions and make them adorable. I have posted this candy on my blog wich you can find here. I bet you are getting real excited, shame I am in London cos the opening sounds great. Hi Irina! Maya is soo cute! I've link on my sidebar. Thank for the chance. Your work is simply amazing...I don't have a blog, however I do spread your emails around on Facebook to all my friends.... :) That's where all my Scrapbook/stamping friends are at. A nice sneek peek of the silly cow. And a fab candy again. I will try again and join in. Your link is in my sidebar. Thank you for your candy!!! Wonderful blog candy, thank-you for this chance. I don't have a blog but will pass the details on to all my crafting friends. How exciting for you! How exciting for us! What fun all the way around. You are linked, followed, mentioned and advertised! LOL Love the "sneak peaks" - Wish I was in CA still to come to the party!! Congrats! Thank you for your beautiful candies!!!!!!! You are so generous! CIAO CIAO from Italy!!! This is my favorite so far. I love animal stamps and this cows face is just so cute. I can't wait for the release of the new line. Congratulations. I'm already a follower and I'm already linked so here is my comment. I can't wait to see the stamps! the suspense is killing me. Awesome creations! Good luck with everything. Looks like another lovely stamp, I can't wait to see them all properly. You're still linked in my sidebar. Hope all goes well with the big launch. You give away such cool stuff. I love animals and if I don't win, I just may have to buy some of your stuff. I love the kitty and the fence! My gf is a dairy farmer, and I'm already thinking of the stuff I can make for her with Maya! My blog is propertyofraven.blogspot.com. I love your sneaky peaks and I love the look of this stamp. Great candy again. I have put a link on my sidebar showing the candy. I just went to Cranberry yesterday and bought a ticket for the upcoming release of your stamp line, I can't wait to see it!!!! I've link on my sidebar. 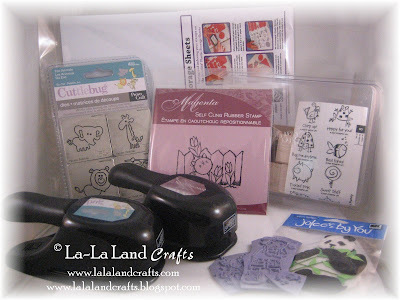 I just love that cow stamp! I can see why she makes you smile! I am looking forward to seeing all your new fabulouse stamps! Can't wait for your opening to see all your new stamps. Congratulations. What an achievment! Spreading the word & your work of LaLa Land. Love the theme for the blog candy. Happens I am making cards/invites/banners of animals for my daughter-in-laws baby shower. Oooh...I love your sneak peek - can't wait to see what they look like! Thanks for the chance of winning yet more blog candy! Big congrats to Lisa!! I have added a link on my blog's sidebar, here! Thanks for another great opportunity! Greetings from Pland! !Maya is super. I've link with a picture on my blog.Thank for the chance to win. Okay, so I am about to resort to begging....brace yourself! I love this candy and would absolutely love to win. First of all, Tilda with Ice Cream is a stamp I just simply adore. And serisouly, what is more perfect than winning a stamp named Maya when I have a baby girl with the same name. I think I just might be fated to win! :) What do you think?!?! Wow, congrats to you on your new company!!! Thanks for offering up this sweet candy. I've linked you on my sidebar. Fingers crossed! Hi Irina ~ yet another lovely blog candy, thank you for this chance. I don't have a blog but have told all of my crafting friends about La-La Land and we're all so excited :). Love the sneak peak of the cow! Can hardly wait to see the full stamp. Thanks for the chance to win the blog candy, I don't have a blog, but will be telling my friends about your new stamps. I like you stamps. Can't wait till your store opens. Keep up to good work. I'll spready the word about your art. Hi Irena beautiful stamps again and I can not wait for your web site to go live, Scrummy candy too I have linked you up in my candy jar with all the details. If your stamp company is half as great as your blog, you are going to be very successful with it! I love your stamps already and I am a constant caser of your blog! Good luck on your grand opening and just sit back and smile. I don't have a blog but I am telling all my card buddies about this! I posted your link on my blog. Thanks for the chance to win. I would just love to win. I can't wait to see what you have in "store" for us. Best of luck with the new endeavor. Just got my ticket for the La La Gala! Can't wait! I will spread the word! How wonderfully generous of you. I love your blog and your work can't wait to see more of it. Oh I spread the word take a look its on the sidebar. Who knew a cow could be so cute! LOL! Love the blog candy, I'll be sure to mention it on my blog. Good luck with all you have going on and thanks for the chance to win some neat stuff!! I have spread the word for all my Blog friends to visit you. What wonderful blog candy, Irina! I am spreading the word on your new La La Land site, and am anxious to see more! Maya is a cutie and I can't wait to see more. I spread the word on my blog sidebar Wish I could be at the opening! Great blog candy, Irina! I am spreading the word on your new La La Land web site. I love the little cow. I can see all the possibilities that can be done with it already. I can't wait to see more of the animals! Thanks for the chance to win. Another great blog candy. I don't have a blog but I've already spread the word among my friend about your new blog. Thanks for giving us a chance to win! Oh what a great candy once again and what a great sneek peek. Can't wait to see the stamps properly - am picuring these beauties already. Maya is gorgeous. I just love cows. Thanks for the sneek peek. I've left a link on my blog. Loving the images you've shown so far and can't wait to see more! I've posted about your candy on my blog. Thanks for the chance to win! I am very excited about your new challenge and shop opening soon. Wow! Another great blog candy give away! I just can't believe how generous you are being. Great job on the inspirations and I just love the sneak peek of the cow - can't wait to see more. I mentioned your new company and the new blog candy giveaway on my blog. Hi there Irina. I haev just discovered ur blog care of the beautiful Alicia (time to Create)I have had a cruise around your blog and have now added it to my faves. Alas I am blogless but have a bunch of procratinating crafters...LOL....of whom I will spread word of this amazing site. Thanks so much for offering up such FAB candy. Wow!Another gorgeous candy! !Thanks for a chance to win! Thank you for the opportunity to win this fabulous blog candy, can't wait for your stamps to be released, they are so cute. I have posted it on my sidebar to spread the word. 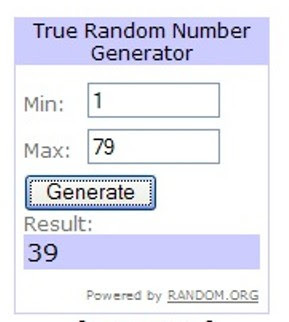 Thanks so much for a chance to win! I posted about your candy on my blog. Oh getting very exciting now and another fab sneak peek. Have put a link on my blog as well. ps MAYA really is awesome!! Thanks for the chance to win this fabulous candy. The sneakpeak of the adorable cow is fabulous! I don't have a blog but I do tell all my stamping friends to check out your amazing creations on your website. Oh my goodness, Maya just looks SO ADORABLE! I must have her...I can't wait to see all the stamps! The store is only 5 hours away, but still too far for me :( Anyway, I've posted about your candy here and it's on the sidebar of my blog here. Thank you for yet another opportunity to win! I have mentioned both this and your DT call. Ohhh, Maya is sooooo adorable, I was born on the year of Ox and I love my moo-moo's. :) Congrats on your new stamp line and a chance to win. The Maya cow sneak peak is sooo cute. Congrats on your upcoming grand opening. Thanks for a chance to win. What fabulous candy ... and Maya is just too 'Moo-tiful' for words. Good luck with your exciting new adventure. A link to your candy is on my sidebar and I have posted about your new company. I have posted your DT call and Blog Candy on my blog. I love the sneak peaks. It all sounds very exciting! Hope it is all a big success. I need to make a note to remind me to come back for your opening on the 12th. A new stamp company!!! How fun! Love the cute cow! I look forward to seeing the new stuff! I posted on my blog (link below). Anxious to see all of your designs!! Your sneak peaks have been wonderful so far! I'm excited to see all the goodies when the store opens! Thanks for the chance at this great candy! just found your site today during a blog hop. I don't have a blog but will spread the word. Off the check out the rest of the site. I love what I have seen so far. I don't have a blog, but I'm telling everyone I know about your stamps. The ones I've seen are great. Congratulations on your new stamp line - how very exciting! Love the animal-themed candy too! :) I've linked your candy on my sidebar, posted about your candy and your DT call here, and sent out a Twitter Tweet. I can hardly wait to see the full set of stamps! I've posted about the company and the blog candy here. oh my so glad I just found you - these stamps look so exciting that artist is amazing. I will put a link and a write up about you on my blog as soon as I have posted this. Wished I lived near so I could attend your event - so glad for internet. Thanks for offering this amazing blog candy - my fingers are crossed. Maya is so cute and your candy is fabulous. Off to put a link on the side bar of my blog. Good luck in your new venture, so looking forward to viewing your full range of stamps. I love the cute cow stamp. I used to have my kitchen decorated in cows. I still have a few sitting around in there. But they are antique kitchen gadgets from the 30s when my house was built. Thank you for the chance to win some great blog candy and the best of luck with the new store opening. I live on the East coast or I would buy a ticket to the grand opening. Sounds like it is going to be a blast. I am always so excited for people when they start a new venture... I Wish you all the best with your cute (what I can see of it stamps). I have written a post on my blog for your sneak peak and put a link on MY CANDY BAR. GOOD LUCK and pick me I would love to be one of the first to own a LA LA LAND stamp! Congrats on your new stamp line, Irina! Thanks so much for a chance to win these fab googies! I have my fingers, legs, eyes, toes - whatever can be crossed is crossed on this one!!! Posted info on my blog. Good luck with the launching of La-La Land Crafts. Have post a link om my blog where I mentioned your new company and the new blog candy giveaway on my blog. Thanks for the chanse to win the candy - how generous you are. I love the peeks! Thanks for the glimpses! No blog but I am sharing your info with my stamp pals. Gorgeous peek and I love that candy. I have posted your candy on my sidebar. Good luck with the grand opening. Just found your site... looks great! And the candy looks even greater! I'm definately coming back to check your blog. Your stamps are great. Like them very much. I am eager for your business to begin! Can't wait to see the new line. The sneak peeks look wonderful! Off to post you on my blog... Good luck! I am very ecxited for you and your new company, Irina! I look forward for the first release and stamps! The sneak peeks are so cute! Thank you so much for brining more joy in stamping world! Good luck with the launch, can't wait for the stamps, they look so so cute. Have mentioned both on my blog. Oh those sneaky peaks look so tempting. Roll on the 12th.Good luck with the launch. Have mentioned both on my blog. Well I am gonna try...I have posted your blog candy and an anouncement about your new venture. I certainly wish you much luck...fingers crossed...although, I do not think you will need the luck...you already have so many followers!! Best of wishes ! Congratulations Irina! I've mentioned your new venture on my blog and have also applied for your DT. So very excited for you. Good luck with the opening of La La Land Crafts! Thanks for the opportunity to enter the Blog Candy. Good luck on the opening! I have added you to my site! Gorgeous stamp, congratulations on your new store :) I look forward to see more stamps. I linked this candy to my sidebar. Best of luck with your new store (I only wish it were located in Virginia.) Although I do not have a blog, I will share the information with the families in my school. I have linked to you on my blog - love that cute cow Maya!! Thanks! I have linked you in my sidebar. I can't wait for the grand opening!! What a great candy!! I linked you on my blog. Wow, your shop is great and also your blog. Thanks for the chance. I spread the word. Lovely candy! I have mentioned your new company and the candy on my sidebar under "candy links". I just found your blog on Patti J's blog. How exciting that you are opening your own craft store in the Bay Area! I'm in So Cal, but I get up there on occasion. I'll have to stop by next time I'm in the neighborhood. In the meantime, I'm happy to mention your company and post your badge on my blog. I will do that in a moment. Thanks for the chance to win, and best of luck in the new venture! I can't wait to see more!